This is an all-time family favorite! Just use a deep dish pyrex or other oven-safe pie plate. Remove crust, crumble bacon into hot crust, then mix remaining ingredients and pour over bacon into crust. (Be sure and put flour in small container and add some of milk in small amounts to make a paste and then add the rest of the milk…making it smooth) before adding to the rest of the mixture. Bake at 375 degrees for 30-40 min. (depending on your oven…watch closely) or until set. Doneness can be checked by the “tooth-pick” test in the center of the pie. If the tooth pick comes out “clean” or just slightly cheesy, then you know that the quiche is done. 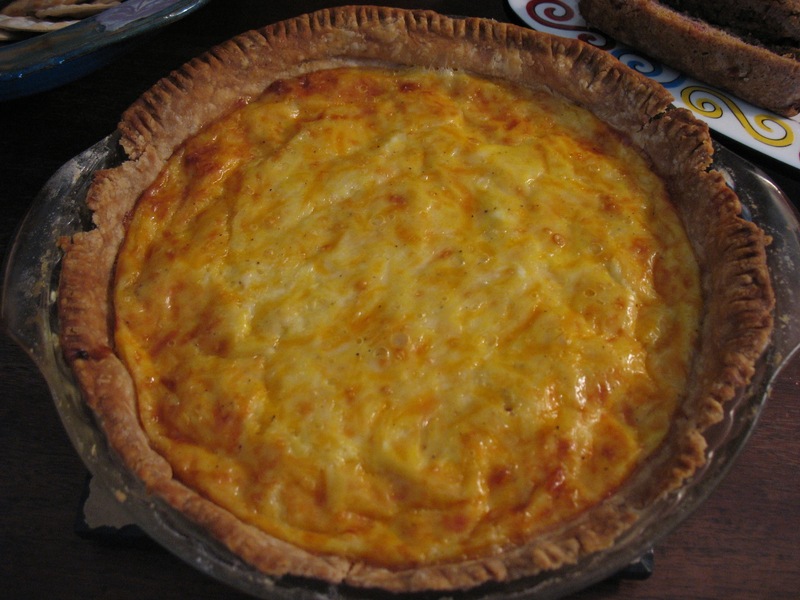 Let quiche cool at least 8-10 minutes before serving.